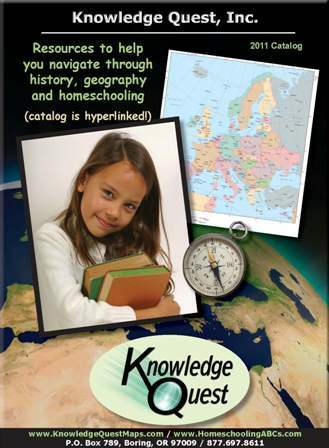 January 13, 2008 - by Terri Johnson, author of Homeschooling ABCs (www.homeschoolingabcs.com ) - dedicated to helping new homeschoolers gain the confidence and the necessary skills to successfully teach their children at home. It is now January and New Year's Day is officially behind us. This means that most of you have started back with school by now, and the rest of you are not too far behind. There is something exciting about getting back to school, back into a solid routine. Eventually though, comfort of routine wears off and monotony settles in. How can you keep your children excited about learning? The answer is to supply them with "living books." A living book is a literary expression of the author's own ideas and love of the subject. Charlotte Mason, a British educator from England in the previous century, whose ideas are currently experiencing a rebirth among American home schools, wrote this in her volume 1 of The Original Homeschooling Series, "The fatal mistake is in the notion that he (the student) must learn 'outlines' of the whole history... just as he must cover the geography of all the world. Let him, on the contrary, linger pleasantly over the history of a single man, a short period, until he thinks the thoughts of that man, is at home in the ways of that period. Though he is reading and thinking of the lifetime of a single man, he is really getting intimately acquainted with the history of a whole nation for a whole age." 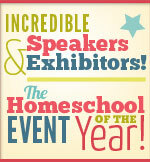 Have you ever experienced this in your home schooling adventures? You set out to cover a certain amount of history in a particular year, just to find out that your child becomes fascinated by a single character or time in history. This happened to us a couple of years ago. We were studying modern history with the goal of getting through the years 1850 to the present. I had allotted 4-5 weeks for studying the Civil War, which I thought was plenty. What I didn't realize was how fascinated my children were to become with not only this event in history, but the general time period as well. After 6 weeks of reading the books I had planned to read and doing the activities I had planned to do, my children were begging for more. I reluctantly gave in and let them guide their own education for a while. They chose more library books from the time period. My daughter sewed some period clothing, complete with snood and gloves. My son converted some cast-off clothing we found at Goodwill into a union soldier's uniform. We went to a Civil War reenactment, made a soldier's meal of hard tack and goober peas, and talked Dad into crafting some wooden rifles in the shop. I am not saying that a schedule is bad. A schedule is a wonderful and necessary tool, but let it be your slave and not your master. Take the time to slow down and read "living books". Read the first part of this article once again to remind yourself what a "living book" is and learn to identify them when browsing your library's shelves. I would like to conclude with a couple more quotes. Karen Andreola, author of A Charlotte Mason Companion, writes, "If we want the mind of a child to come alive, we feed him living ideas. Ideas reside in living books,..."
and visit this website: ValeriesLivingBooks.com, a ministry to homeschooling families, which provides an active online discussion list as well as over 100 pages of free book lists, reviews, and practical helps. Valerie writes, "I have chosen Living Books as my primary curriculum because I want to see my children loving learning rather than enduring an education! In this, my interest has never been in books and resources designed to entice reluctant kids with short attention spans, but rather in materials carefully written with an evident passion to challenge children, encouraging them to reason carefully and respond wholeheartedly." And finally, if you are studying the Ancient time period, the Middle Ages, or the Colonial time period this year, do check out our book series entitled, "What Really Happened..." The authors who contributed to these books are passionate about their subject and this delight gets transferred to the student. This is a great way to introduce your children to amazing individuals from these time periods who changed the course of our world. 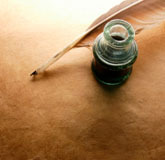 For more details, go to: Historical Biographies.